This beautiful wild beach in northern Portugal will appeal to those who prefer virgin landscapes. It looks like a harmonious corner of untouched nature: golden sandy beaches and dunes, low rocks, green fields and rhythmic movement of ocean waves. Canto Marinho is a very suitable spot if you want to sunbathe and relax enjoying silence and peacefulness. 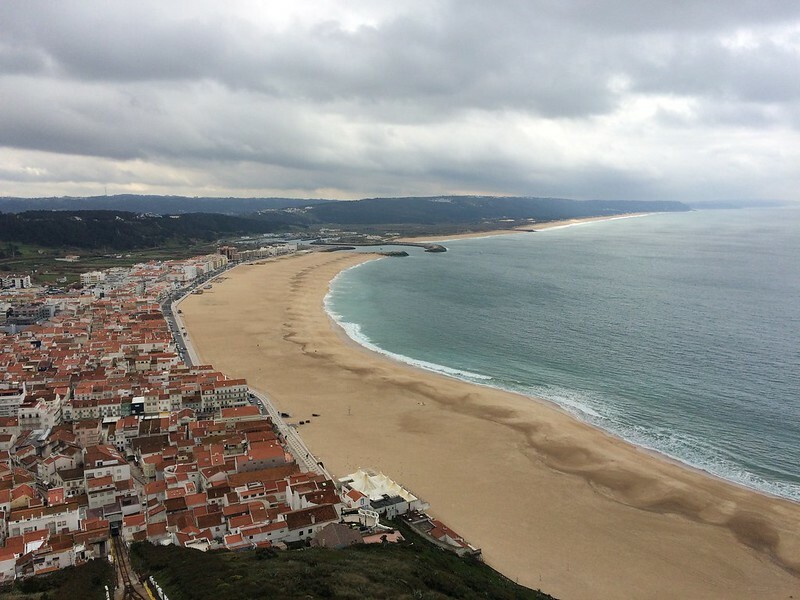 Nazare is one of the best tourist beaches of central Portugal: there are many cafes, shops and the opportunity to enjoy Portuguese cuisine right on the beach. 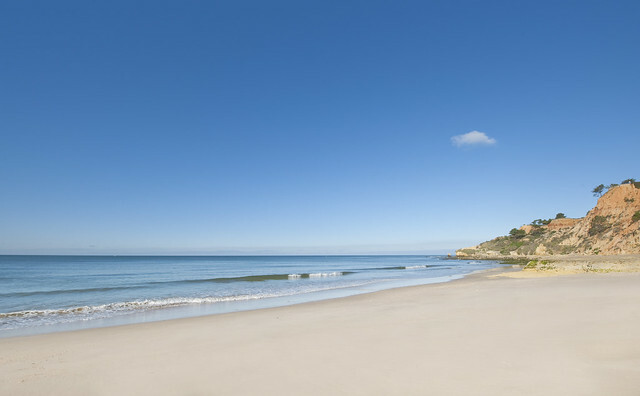 White-gold sand and developed infrastructure attracts lots of visitors to Leiria. 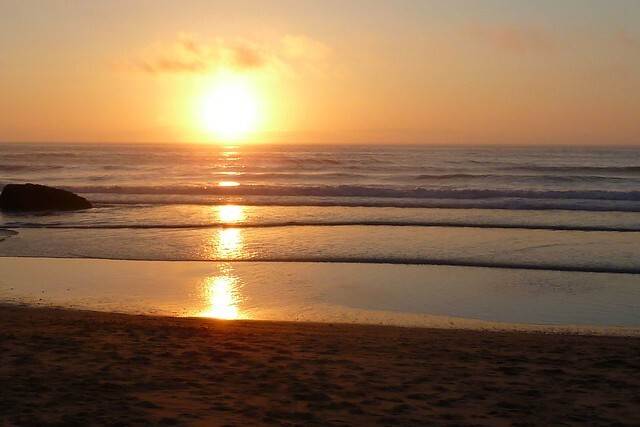 Praia da Nazare is suitable for families with children. In addition, there is an excellent surf spot with steep waves a couple of hundred meters to the north. Crystal-clear water and constant winds make Berlenga Grande an excellent place for diving and surfing. 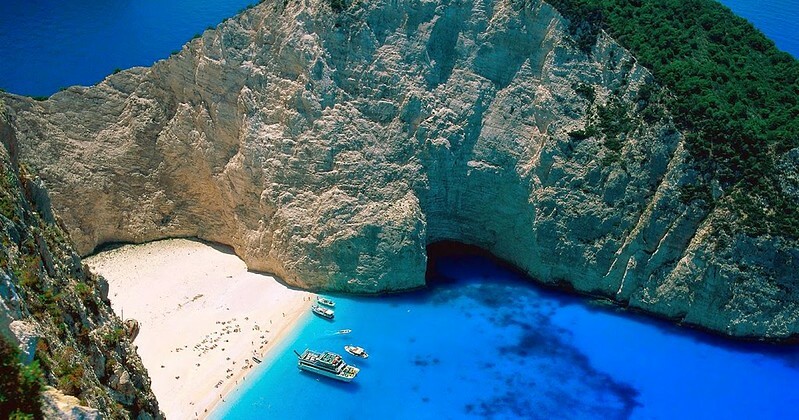 The entire coast of the island is strewn with rocks, but there is only one beach suitable for swimming. Berlenga Grande is a very cozy and reliably sheltered from the wind by rocks on three sides. It’s an excellent spot to go there for a half day to swim, enjoy the dramatic sceneries and see the picturesque fort on a high rock in the ocean. A transfer from Peniche and back will cost you 20 € per person. Surrounded by high cliffs, Adraga is a fantastic beach with snow-white sand. The black teeth of the rocks stick out of the sand, and at sunset these places look like a frame from a fantastic film about uncharted planets. This beach is not very suitable for families with kids – swimming can be quite dangerous there. But it’s definitely worth to come to Adraga for the magnificent sunset, which will be even more beautiful if you enjoy it from the terrace of a small restaurant with a huge selection of fish and seafood. 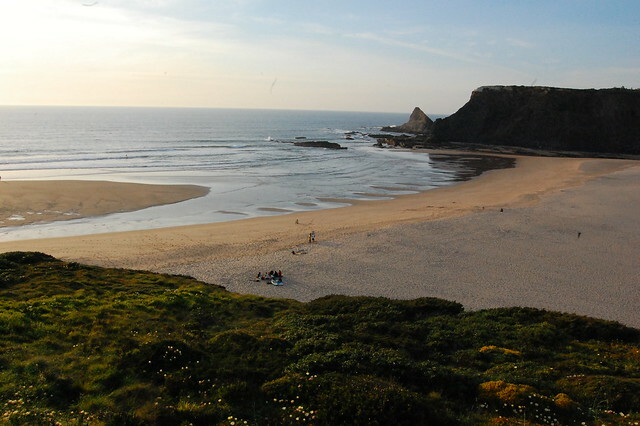 Awarded ‘blue flag’, Odeceixe-Mar is situated in the delta of Seyche River flowing into the ocean. After swimming in the cool ocean, it’s nice to dip into the warm river water to wash off the salt. The surrounding places are very picturesque and quite secluded – it’s hard to find crowds of tourists in Odeceixe, which is strange, because this blooming elegant village with snow-white houses with tiled roofs definitely deserves attention. This picturesque and tranquil beach in the Arrabida nature park is an ideal place for a family holiday. The ocean is warmer than on the northern coast of Portugal, and the water is really clear. The beach is located quite close to Lisbon, but tourists visit it not often, and there are no crowds there even in the high season. 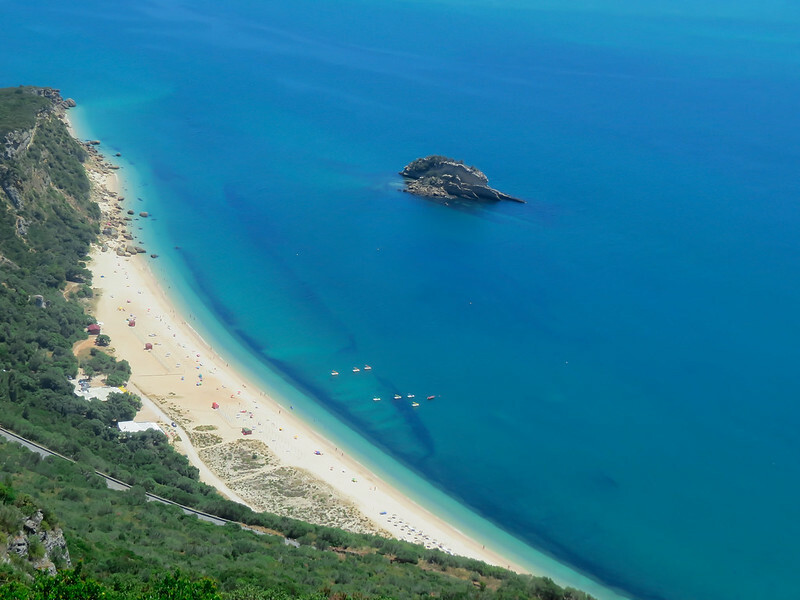 Portinho da Arrabida is also great for divers and lovers of underwater fishing. Falesia is a 3 km-long beach with snow-white sand and red striped rocks, the tops of which are adorned with beautiful pine-trees. Pure turquoise water and clean sea bottom without stones make swimming in this place especially pleasant. Someone comes there to breathe the healing air filled with the scents of the ocean and pine forest, and someone – to enjoy the stunning surreal landscapes. The best views in Falesia open from the observation deck, which in the daytime is easily reachable by elevator. 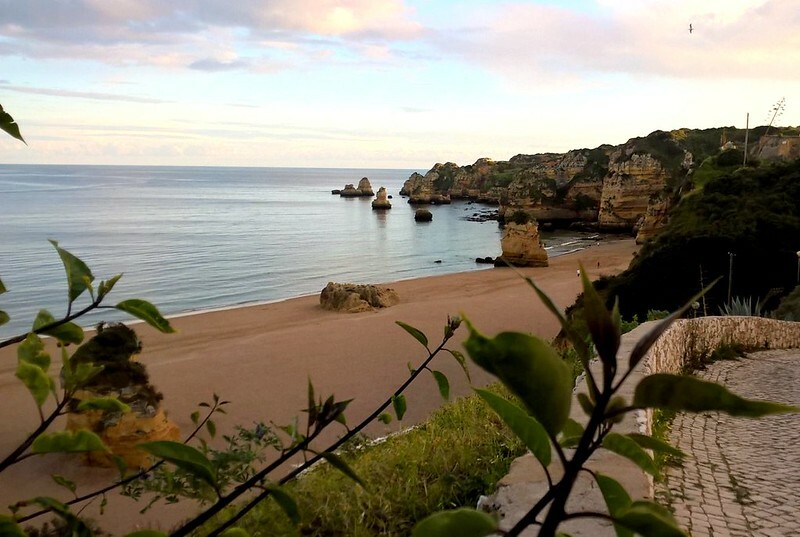 The most famous Portuguese beaches are situated in the south, in Algarve region. And the most beautiful one of them is Dona Ana. This beach with soft golden sand and bright rocks is not empty at any time of the year: there are always a lot of people wishing to enjoy the unusual scenery or ‘jump’ on the high waves of Dona Ana. This fascinating beach near Lisbon is a favorite place for kite boarders and windsurfers. The proximity to the capital makes it popular among tourists and locals: a bike path has been specially built from Cascais to Guincho. There are several surf schools, where you can rent the required equipment. Even if the wind is too strong for swimming, don’t deprive yourself of pleasure of watching the surfers or simply enjoying the scenery sipping a cocktail at the local bar. 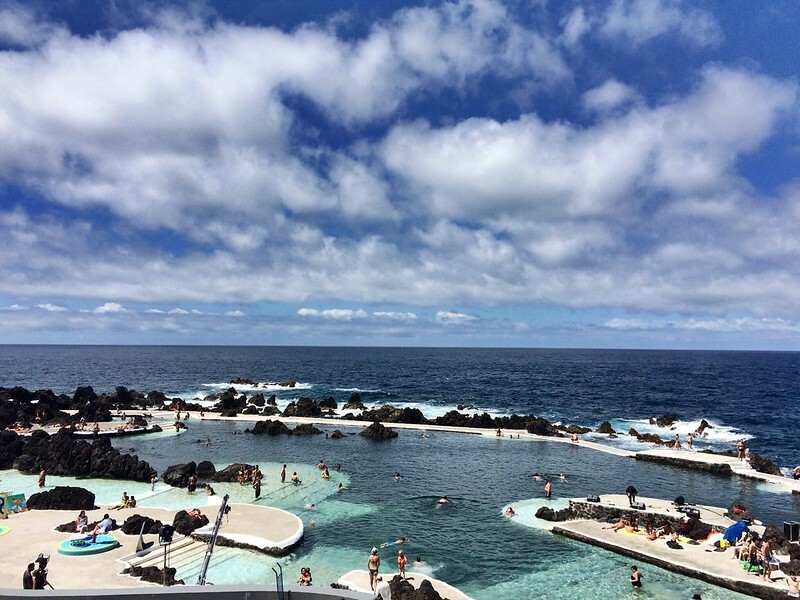 Porto Moniz is a beach with natural volcanic pools. People reconstructed this unique nature creation – the natural reservoirs were leveled and polished, comfortable descents were made. Now you can splash in warm water and watch powerful waves crash against the rocks. Porto Moniz is open all year round, there is a children’s pool, locker rooms, safes, and a rescue station. The entrance to the volcanic pools costs 1.5 €. Portugal is full of great beaches. Some of them are sandy and well-equipped, but the others are wild and sometimes mystical. Most of these beaches are situated in the southern Portuguese coast, so if you and to explore them, just rent a car at Faro Airport. For more convenience, use optional GPS navigator of your rental vehicle.